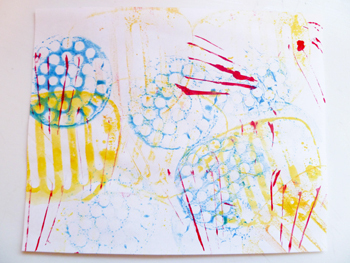 Have some messy, gooey fun with toothpaste art creations. 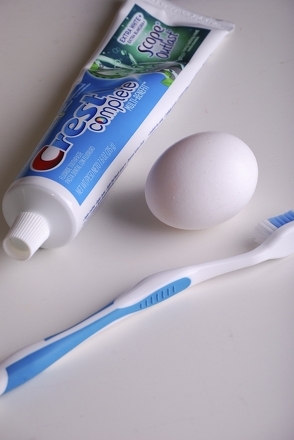 This craft encourages sensory exploration and creative play for younger kids…just remember to save some toothpaste for brushing! 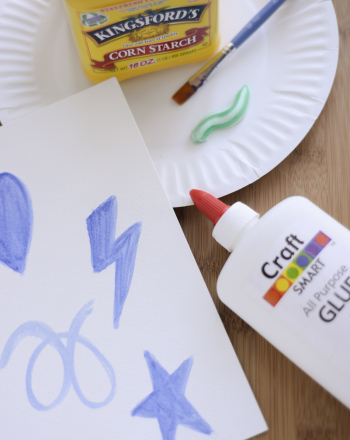 Help your child measure the glue, cornstarch and toothpaste and put them into the paper bowl. Let your child stir the ingredients together with a plastic spoon. If it is thick enough, he does not need to add water. If he prefers a lighter substance, he can slowly add 1 teaspoon or less of water to the bowl. He can mix the water in until he gets the desired consistency. If you’d like it to be a thick texture, like clay, you can leave it out overnight to set. Let him pick out a colour of food coloring and add one drop to the mixture. He should stir the colour so it mixes in completely. If the mixture is more clay-like, he can play around with it and make shapes. When he’s finished, he can put shapes on a paper plate to dry. He may wish to use cookie cutters or play dough molds to help create a well-defined shape. 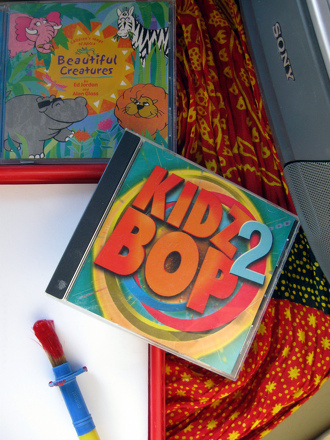 He can also roll the mixture into balls to create beads or marbles. 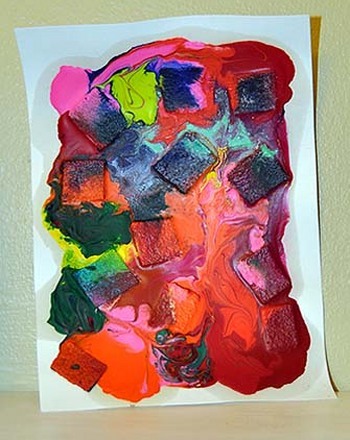 If the mixture has a more finger paint-like consistency, he can transfer it to a paper plate or piece of finger paint paper and play away! 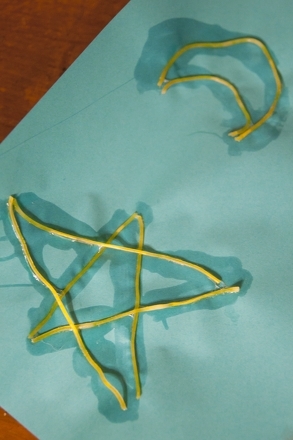 Play dough molds and cookie cutter shapes can also work for this consistency to make “stamps” or outlines of shapes. Or, he can just use his fingers to draw freehand letters and shapes. 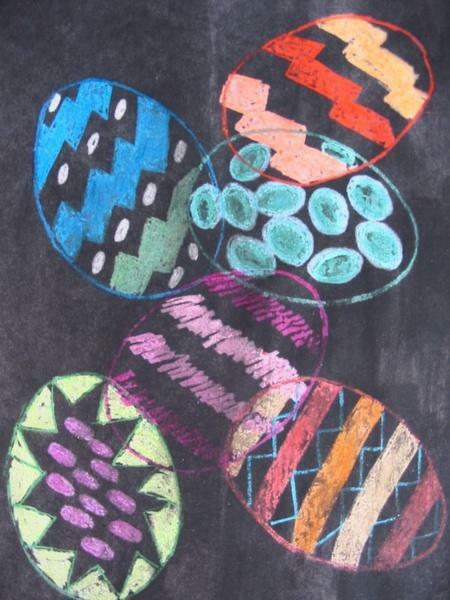 If he enjoyed the creations, he can make more batches in different colors. 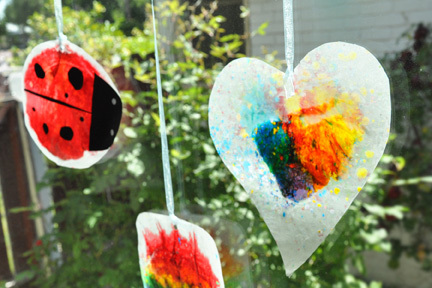 Messy art always appeals to kids! 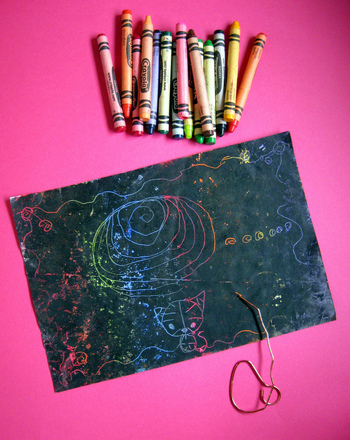 Make interesting art and learn about shapes, lines and patterns by using spaghetti noodles. This work of art doubles as a Halloween treat! 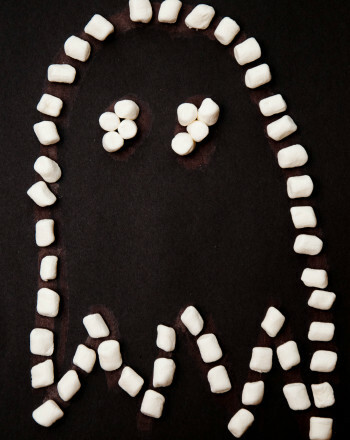 Your little one will love using marshmallows to make a ghost that's as sweet as it is spooky! 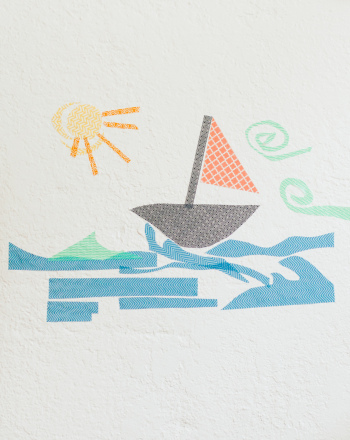 Dream big by making some washi tape wall art, an easy (and totally temporary) way to experiment with murals. 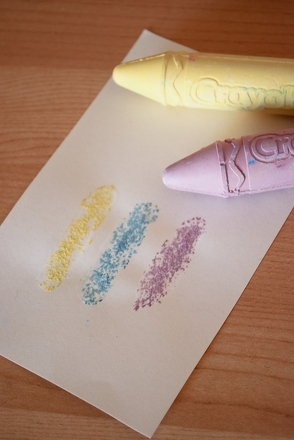 Try this fun kindergarten arts and crafts activity: make art by grating colored chalk over a sheet of buttermilk-painted paper. Watch as it sparkles!